Let yourself be welcomed by the tranquility of atmosphere and richness of culture at this Buddhism country. 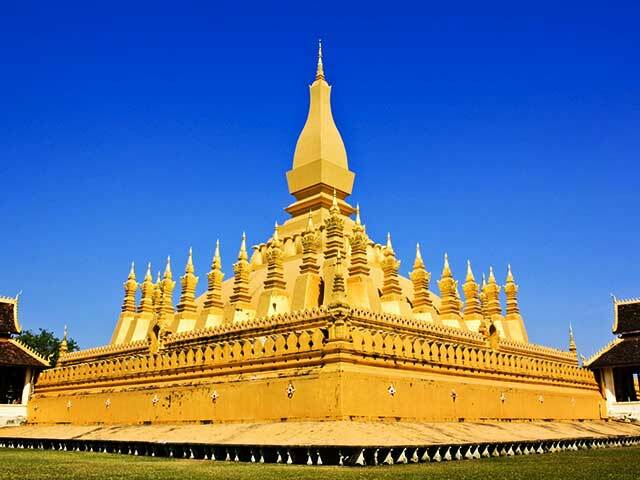 Luang Prabang city tour and visit splendid natural scenery and cultural sights and explore explore the mysterious Pak Ou Caves. Experience local life by visiting Phosi Market and then drive to the beautiful Khouangsi Waterfall. Visit famous temples and pagoda in Vientiane and local market for shopping. Have breakfast at hotel and check out. Transfer to visit the beautiful Khouangsi Waterfall where you can cool off with a refreshing swim in the turquoise pools or walk along the forest trails. 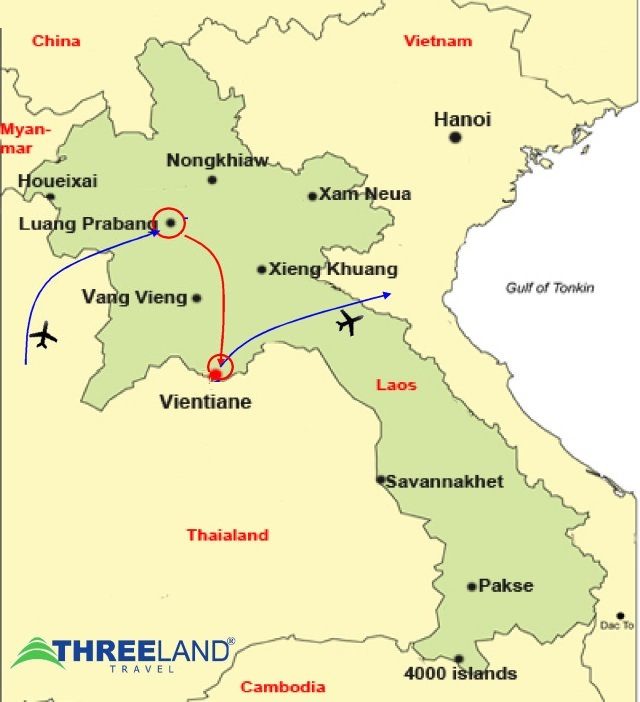 Head to airport for your flight to Vientiane, the capital of Laos. Upon your arrival, welcomed by our tour guide and transfer to hotel for check in. Overnight in Vientiane. After breakfast , star your city tour from the oldest, Wat Sisaket, a temple of thousands of miniature Buddha statues, and the former royal temple of Wat Prakeo, which previously housed the famous Emerald Buddha Image. We also visit Lao national icon, That Luang Stupa, and we stop to take some pictures of the imposing Patuxay Monument, which is Vientiane’s own Arc de Triumph. In the afternoon, visit Wat Ong Tue, Wat Inpeng and Wat Haisok. We pass by the major shopping area continuing to the Vientiane Central Market of Talad Sao and Talad Kouadin where various goods are displayed for sale; including fresh food, household goods, souvenirs, textiles, gold, silver and antiques. Overnight in Vientiane.